These were so good! They are very simple to make as well. 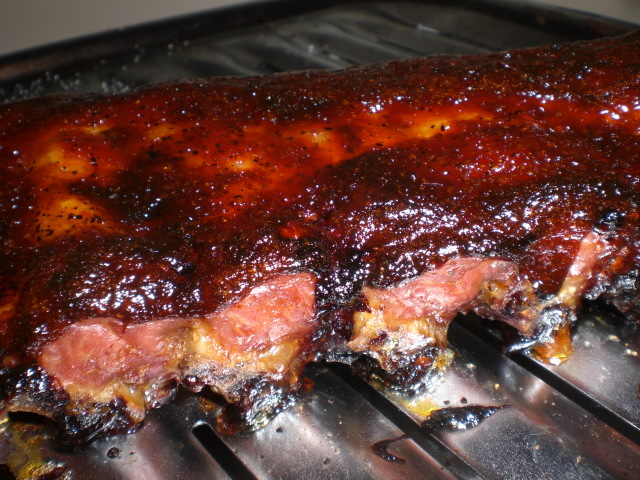 Make sure when you buy your rack of ribs that the membrane in the back is taken out. If you buy your ribs from the meat counter, have them do it for you. Rub what ever seasoning you want on them. Tonight I just kept it simple and used salt and pepper. I like to use Emeril’s essence, but I’m out. Cook for 2 hours on low heat…225. 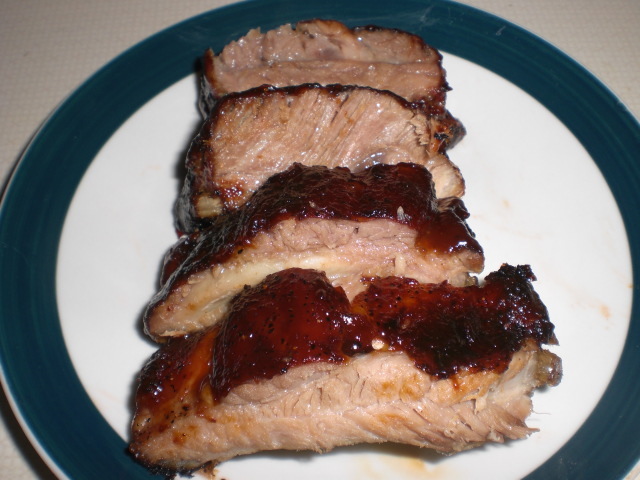 Increase heat to 350 and baste with bbq sauce of your choosing every 15 mins for another hour. I like to put the broiler on and let them get good and crusty for another 5-10 mins. (if you do this, watch your ribs! bbq sauce has sugar in it and it will burn easily). 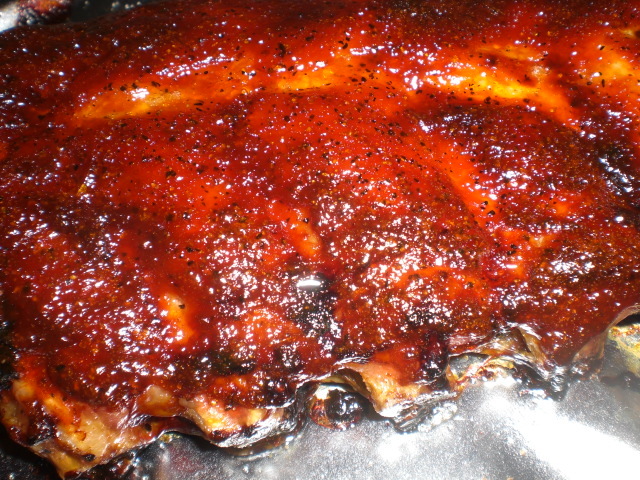 Let stand for 15 mins or so…cut along the rib and enjoy!